TROA's vision is to be the key industry stakeholder providing an independent voice for all racehorse owners. In partnership with all owners TROA will protect their interests, promote increased financial returns and the enjoyment of racing. Bendigo is home to the Golden Mile Race Day, Saturday 30 March 2019, with prize money exceeding $1 million. TROA are proud to announce our continued partnership with Golden Mile Raceday in its seventh year. World-class racing, entertainment, leafy bushland surrounds, fine dining, fashion and more make the Golden Mile Race Day an unforgettable experience for racehorse owners, in particular those lucky enough to have a horse competing for the $1 million in prizemoney on offer. A broad range of owners, trainers, jockeys and breeders are set to benefit from more than $40 million in additional prizemoney that will begin rolling out across Victoria from 1 January 2019. The increases are underpinned by a $33 million election commitment from the newly returned Labor Government to support increases to the minimum levels of Victorian thoroughbred prizemoney. Racing Victoria (RV) has committed to boosting the package of prizemoney increases, which will be implemented across the next two years, beyond $40 million. 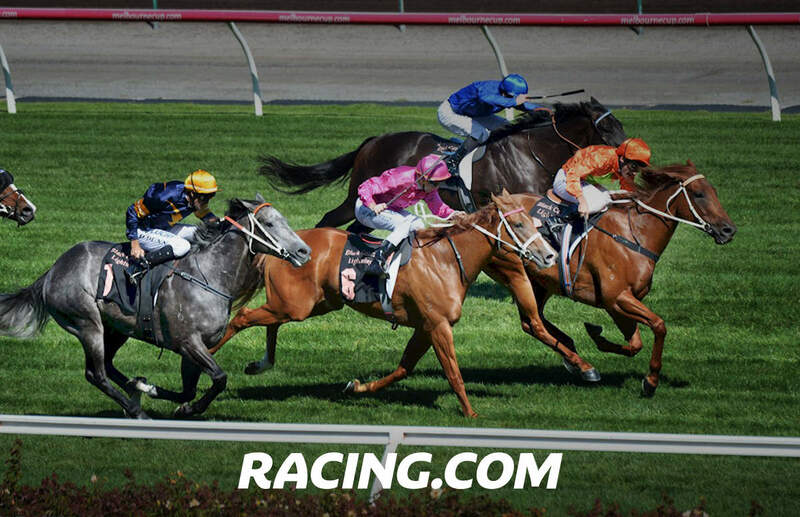 TROA are delighted to announce funding support to the Cranbourne Cup Carnival and Geelong Cup meeting, to provide TROA exclusive owners areas to all owners with a runner engaged at these meetings. TROA understand the importance of owners having an enjoyable experience on raceday, when your horse is engaged to compete. TROA, with Country Racing Victoria and the Victorian regional race clubs encourage owner participation and attendance when your horse is racing in regional Victoria. Victoria’s three most famous races – the Lexus Melbourne Cup, Ladbrokes Cox Plate and Stella Artois Caulfield Cup – will carry record prizemoney this Spring Racing Carnival and the state’s 67 Country Cups will each receive a boost as part of widespread prizemoney increases announced today for the 2018-19 racing season. Racing Victoria (RV) was joined by the Victoria Racing Club (VRC), Melbourne Racing Club (MRC), Moonee Valley Racing Club (MVRC) and Country Racing Victoria (CRV) in announcing a $12.4 million injection into prizemoney across the state from 1 August 2018. Racing Australia is introducing new reforms commencing 1 August 2017. First announced in November 2016, these measures are known as the Trainer and Owner Reforms (TOR) and have been incorporated into the Australian Rules of Racing. TOR Rules The reforms will operate pursuant to the TOR Rules, which are part of the Rules of Racing. As you are a person bound by, and subject to, the Rules of Racing, you will also be required to comply with the TOR Rules - they are mandatory. Record prizemoney will be on offer in Victoria for the 2017-18 racing season after Racing Victoria (RV) today announced a $15.5 million increase with effect from 1 August 2017. All owners, trainers and jockeys will get the chance to share in the increases which are spread from prestigious Group 1 races to once-a-year picnic race meetings throughout country Victoria. For the first time, more than $200 million in prizemoney and bonuses will be on offer in Victoria with a total of $214 million up for grabs throughout next season. TROA announces partnership support of the Australian Trainers’ Trust. TROA announces funding assistance in partnership with Warrnambool Racing Club for the Owners Marquee for the 3-day Warrnambool Carnival. TROA announces annual partnership of Owners and Breeders raceday at Caulfield, in conjunction with Racing Victoria and the Melbourne Racing Club. TROA represented on prizemoney review panel with recommendations made to RV Board, leading to 18% increases across all levels. TROA announces partnership with Melbourne Racing Club and Victorian Government, to provide funding assistance for Connections Lounge, the dedicated owners’ area at Caulfield Racecourse. TROA announces 3-year partnership with Bendigo Jockey Club’s standalone Saturday meeting – the Golden Mile Raceday. TROA announces annual partnership support of the National Jockeys Trust, via sponsorship of annual Charity Race Day at Caulfield. TROA participates in the Racing Victoria Owners Expo held on Sandown Cup Day. TROA joins with Racing Victoria in funding the ‘Win a share in racehorse’ competition for eligible Victorian Owners Gold Card holders. Andrew Lafontaine is unanimously re-elected TROA Chairman. TROA supports the continuation of jumps racing in Victoria. TROA Chairman, David Moodie resigns and is later elected as a Director of Racing Victoria Limited. Andrew Lafontaine elected as new TROA Chairman. TROA launches the TROA/Luxbet owners’ bonus after signing a major sponsorship agreement with leading corporate bookmaker, Luxbet (owned by Tabcorp). TROA calls for a greater level of country prizemoney and promotes support for prizemoney increases at all levels from the “bottom up”. TROA again calls for a review of the three metropolitan club structure to assess the benefits of ‘shared’ services. TROA supports the development of the ‘Living Legends’, the International Home of Rest for Champion Thoroughbreds. TROA and William Inglis join in a partnership to support racehorse owners in Victoria. TROA together with all racing industry stakeholders campaigns for increased Victorian prize money. Launch of the RVL/TROA Ownership Strategy and announcement that TROA now represents all racehorse owners in Victoria as partners of the Victorian Owners Gold Card program. TROA celebrates 30 years representing thoroughbred owners at Annual Awards Breakfast at Champions, the Australian Racing Museum. RVL and TROA agree to work towards a collective ownership strategy identifying the principle roles of both organisations. TROA launches the ‘Owner for a Day’ program in conjunction with RVL. TROA hosts the RVL William Inglis Ownership Forum at Oaklands Junction. TROA contributes a strong submission to the industry review of Integrity Services supporting a revised structure. TROA reiterates its support for jumps racing and the initiatives to make it safer for all participants. TROA calls for the formation of a combined TAB national pool on certain races in the absence of a national totalisator. TROA strongly advocates the urgent introduction of new betting types and larger pools at TAB’s, as well as the increase in industry returns. TROA strongly recommends that the marketing departments and some metropolitan club functions be merged into one unit to avoid “triplication” and to save considerable operating costs. TROA supports threshold levels for therapeutic treatments that do not enhance or detract from horse performance. MVRC opens the Might and Power Room – a dedicated room for racehorse owners. TROA lobbys on issues of track bias and state of tracks and raises the possibility of grading tracks for their suitability depending on seasonal conditions. TROA begins to lobby the Federal government about the impacts on owners of the GST tax reform. TROA asked to make a submission on the review of the apprentice claiming system. TROA hosts international owners’ conference in Melbourne. TROA recommends that owners of all runners receive some form of rebate. TROA gains representation on the VOBIS Board. TROA meets with Premier Jeff Kennett to discuss the possibility of an Industry Council. TROA pushes for a nation wide betting pool and raises the matter at an Australian Racing Ministers conference. TROA recommends to the VOBIS scheme managers that trainers and jockeys are not included in the incentive scheme bonuses. TROA writes to the Australian Trainers Association regarding a code of ethics for trainers. TROA writes to all metropolitan and country clubs to request an increase in race day ticketing for owners. TROA investigates the possibility of sponsored racing silks and saddlecloths. The MVRC rejects TROA’s request for owners to receive membership privileges to owners who have a horse running. TROA seeks uniformity between metropolitan clubs in relation to owner’s privileges . TROA writes to the Victorian Trainers Association objecting to increased training fees. Recording information regarding the ownership and identity of thoroughbred racehorses for racing in Australia and for export is a function critical to the integrity of the racing industry. The Registrar of Racehorses (ROR) and Principal Racing Authorities (PRA) in each state are responsible for managing all registration forms in relation to thoroughbred racehorses and ownership. Please click here for all forms relating to thoroughbred racehorse ownership. There is a goldmine of resources for thoroughbred racehorse owners in Victoria. 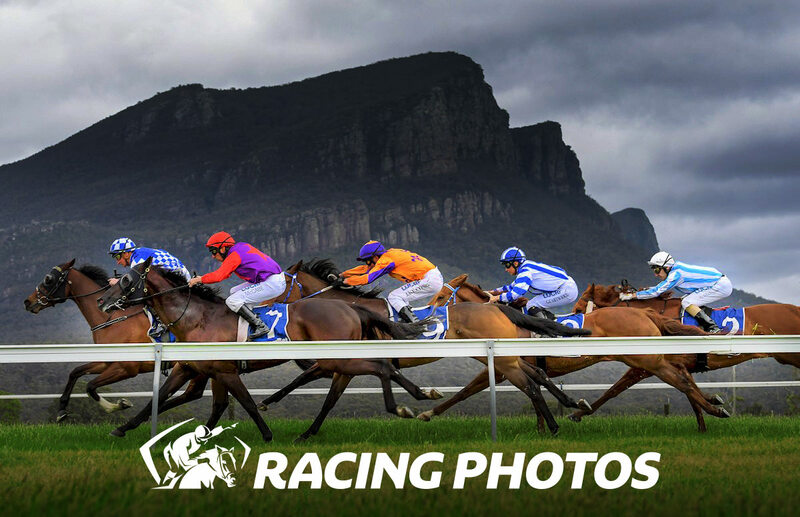 Where you find information about registering a horse, joining a syndicate, registering your own race colours, race nominations, weights, acceptances, raceday entitlements, VOBIS, sales and breeding information, photos, videos and racing news. TROA have summarised the essential Owner Resources for you here. Once you become a registered owner in Victoria, you will be issued with an Owners' Gold Card which will provide you with access to raceday privileges. It is recommended you carry photo id when using your Owners' Gold Card at Victorian race meetings. Minimum raceday privileges are provided by racing clubs throughout Victoria. Many clubs offer additional facilities. Access on racedays to the inner sanctum when your horse is racing is one of the key benefits of racehorse ownership, in addition you also have privileges when your horse is not running. Below is a detailed summary as to your race day privileges.